Engineering Manager, Architect and Lead Software Engineer with 15 years professional experience. ➔ Builds world-class engineering teams from the first hire, to multiple teams. ➔ Creates a culture of engineering excellence by embracing Agile, continuous improvement, automated testing, and continuous integration. ➔ Quality and stability at scale, maintaining a 4.5+ star app rating with millions of downloads. ➔ Deep technical expertise, from native Android and iOS mobile apps (8+ years) to full stack (5+ years). 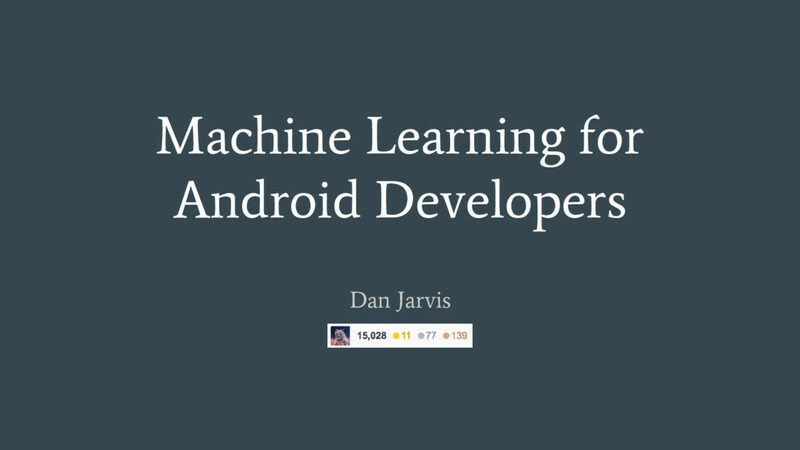 ➔ Conference speaker (AnDevCon DC, Droidcon NYC, Android Summit) and machine learning blogger (http://medium.com/@daj). Senior engineering manager and technical lead for Capital One Wallet on Android. 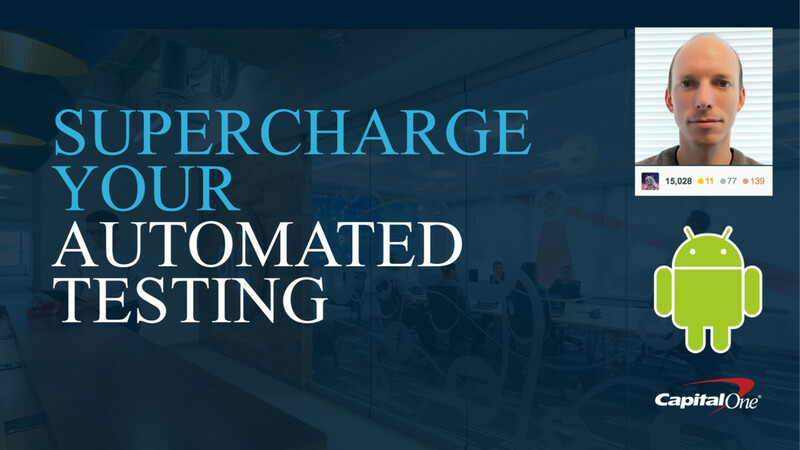 Driving best practices for automation within Capital One. Development manager and technical lead for Capital One Wallet on Android (rated as the best finance app by a US bank). We launched the first native contactless payment app by a US bank. Technical lead and scrum master for the Android and iOS apps. Using Jenkins in the cloud for continuous integration with multiple layers of automated testing, using TestCase, AndroidTestCase, Mockito and Robotium. Manager and technical lead for the Android MessageMe app. Responsible for delivering a fast, smooth, and stable app on a very aggressive schedule. Over 1 million downloads within 3 weeks of launch, maintaining a user rating of better than 4 stars. Owned the delivery and quality of smartphone apps for professional services. Managed iPhone, Android and BlackBerry development projects, including estimating and planning. Created many of the internal processes used for developing, branding and delivering smartphone applications. Triaging system test bugs, prioritize fixing to deadlines. I'm a big fan of Spoon, so I fixed a couple of bugs in the open source project. This public fork of CWAC-Camera library concentrates on providing camera preview and photo review screens that are locked to portrait orientation. I made fixes to the original project. The original author is not currently maintaining his project, so CookBrite is now hosting the repository. Rollbar for Android is an open source crash and error reporting library. I contributed to it. Tap and pay with your phone, get instant notifications, and lock your cards. This app helps users plan their meals and manage their home inventory and shopping list. Architect and main contributer. I have over 600 automated tests from unit tests, to REST integration tests, all the way up to black box story tests using Robotium. I use GreenDAO, EventBus, Picasso, Retrofit, Wire, Google Protocol Buffers, support libraries, Rollbar, and Crashlytics (via the Fabric SDK). An extremely powerful and fun messaging app. You can send text, photos, doodles, locations, iTunes, YouTube, video and voice messages. Development manager and technical lead. Personal project for browsing 600 photos and over 250 sites of street art in San Francisco. This was an entirely solo side project. Personal project to enhance the Android dialer to provide more information about the incoming phone call. Personal project for making historical Domesday Book data available online. Unified messaging and call control client for iPhone. Specified, designed, and developed this app from the ground up, including an abstraction layer for operations against the remote JSON Web Services API. Reverse engineered the Xcode build process to create a custom branding SDK which customers use to brand and sign the iOS app. How can I run my independent Robotium UI tests in parallel? ORM performance: is greenDAO faster than ORMLite? 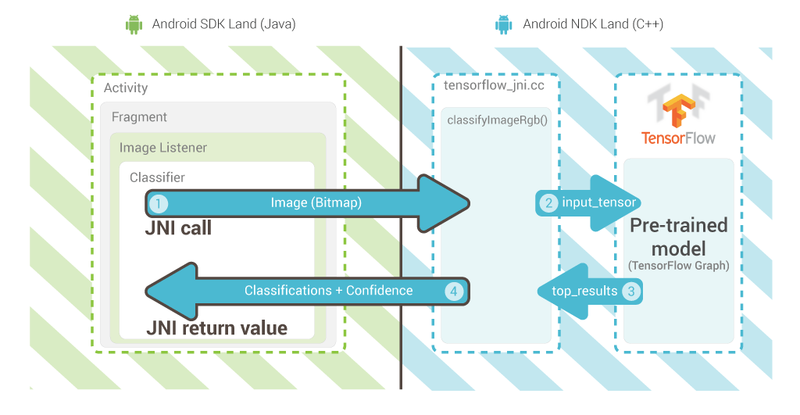 It used to be really hard to embed a pre-trained TensorFlow model on Android, and now it is much easier! Find out how to use machine learning on Android! 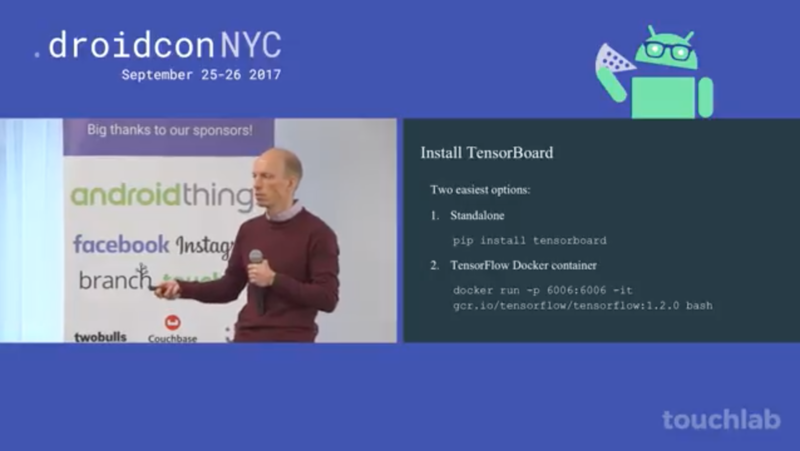 This talk explains what machine learning can do for you, how it works, and shows how to use a TensorFlow image classifier in your Android app. We cover: - Example machine learning applications, including sentiment analysis and artistic image filters. - Machine learning APIs and frameworks. - An overview of machine learning: training, evaluation and using models. - Training data sets: NIST/MNIST, ImageNet, Kaggle. 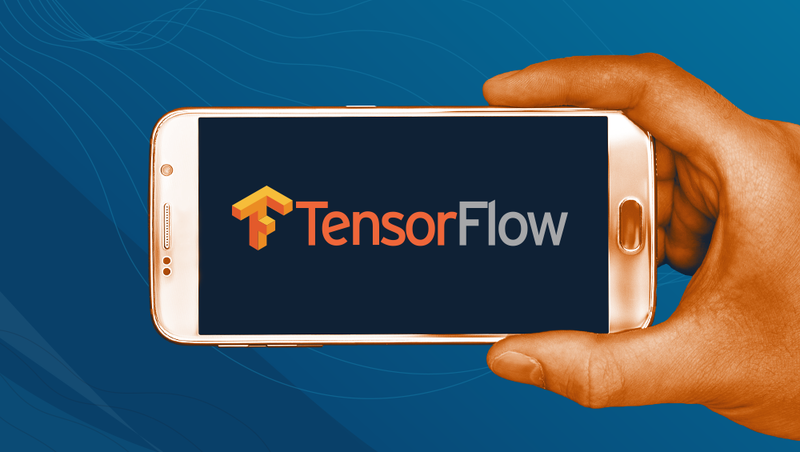 - How to retrain a TensorFlow model and use it in your Android application: demo and sample code! You've probably heard of unit tests and UI tests, but what about component and integration tests? Component and integration tests are critical layers in the test automation pyramid. They speed up your development and release cycles, reduce risk in your project, and they even provide hidden benefits like infrastructure monitoring! This talk covers: - why we write automated tests - the differences between unit tests, component tests, integration tests and UI tests - how to decide which kinds of tests to write - the secret benefits of component and integration tests. Themes in this talk are: - don't be ideological, know when and why to write automated tests - unit tests often leave gaps and need to be refactored whenever the implementation changes, so higher level tests are important ("the whole is greater than the sum of the parts") - it's important to automate everything, this is a key skill in multiplying your impact as a developer. Summary: How continuous integration can be used to improve product quality, stability and delivery speed - plus some pro tips for more advanced capabilities, including how to speed up your tests by running them in parallel across multiple Jenkins slaves. 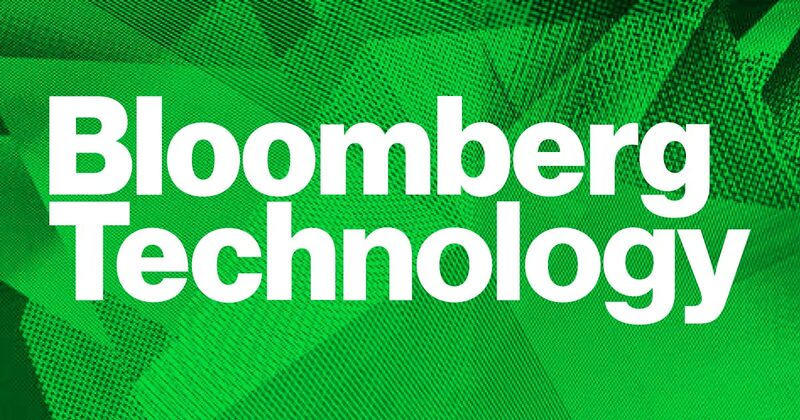 Capital One Financial Corp. introduced a tap-to-pay mobile-payments service, becoming the first major U.S. bank to offer such functionality in competition with Google Inc.’s Android Pay. Written 226 answers. 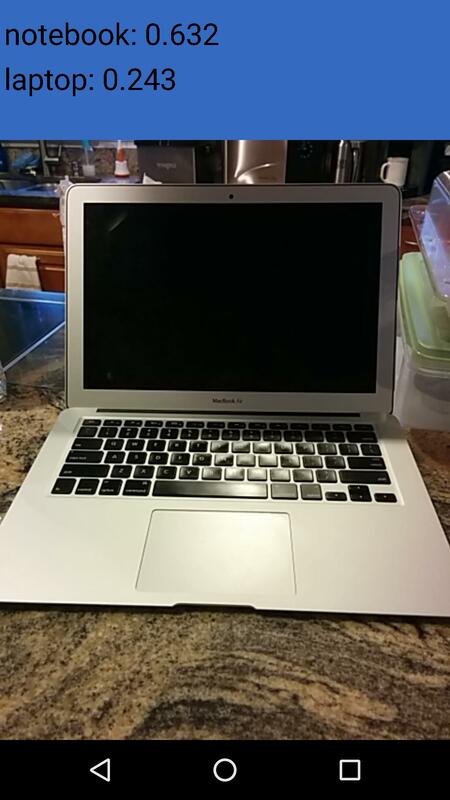 Active in android, android-studio, gradle, objective-c, sqlite and 3 other tags.